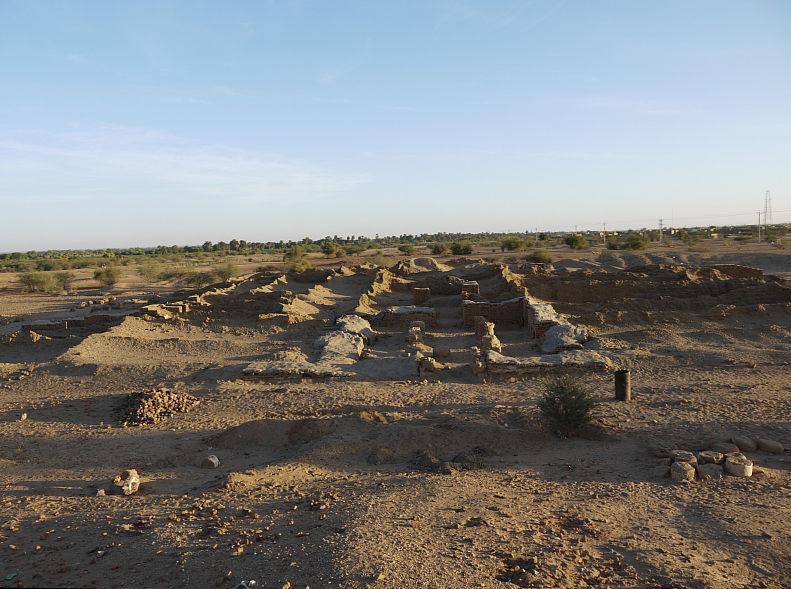 Last December a group of archaeologists from the National Museum returned from an excavation expedition in the Sudanese locality of Wad Ben Naga. They have been working there since 2009 and are helping their Sudanese colleagues fulfil the requirements to enable the whole area to be registered as a UNESCO World Heritage Site. Radio Prague spoke to some members of the team and chief archaeologist Vlastimil Vrtal told her what exactly they have been uncovering. “There are at least 4 temples, one large palatial structure and vast cemeteries to the north and the south. Currently, we’ve finished revising excavations of four structures which were already excavated before, but they weren’t properly published or even documented. Previously at the site, fragments of an altar were discovered by the famous Prussian Egyptologist Karl Richard Lepsius. His expedition in the mid 19th Century uncovered two stands upon which sacred bark would have been laid. Pavel Onderka, the leader of the archaeological exhibition told me what had happened to them. But archaeological digs aren’t always straight forward. Alexander Gatzsche, the conservator of the exhibition explained to me some of the problems with the finds. The expedition however isn’t just there to discover ancient remains. In 2011, a partnership between Otrokovice, Mr Onderka’s home town, and Wad Ben Naga was declared meaning the district receives financial support on a yearly basis. I asked him what else this partnership means for the towns. “At first the cooperation was only established between the schools. The children from the Czech Republic were sending teaching materials and toys and clothes to children in the Sudan, but soon the town realised that this is actually an opportunity for not only the schools, but also for all the citizens of the city to help in some way.